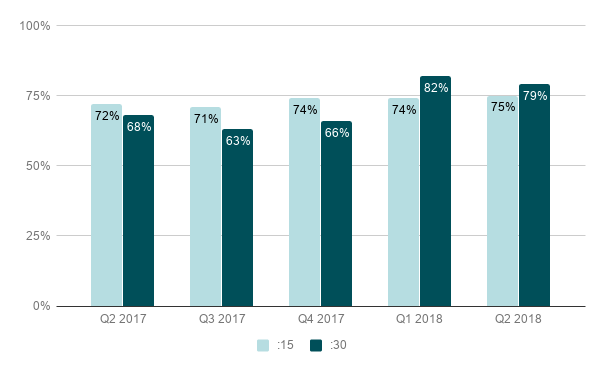 Viewability rates increased across the board for media type/purchase method as well as ad length in Q2 with the average moving from 62% in Q1 to 67% in Q2. 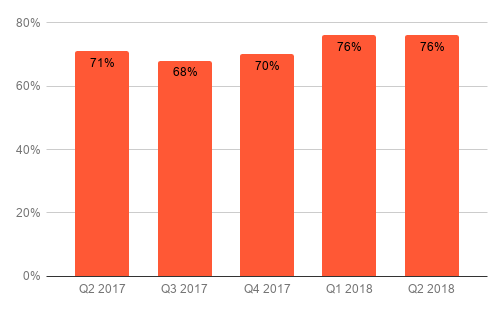 On average, the proportion of impressions that are both viewable and completed remained steady in Q2 at 76%. 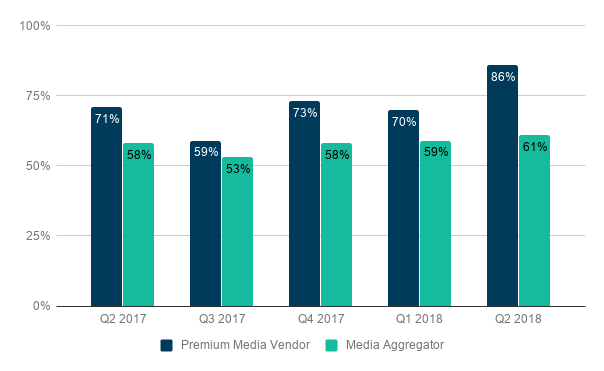 Premium publishers continue to lead media aggregators by a significant margin in Viewability. Rates in Q2 were 86% and 61% respectively. 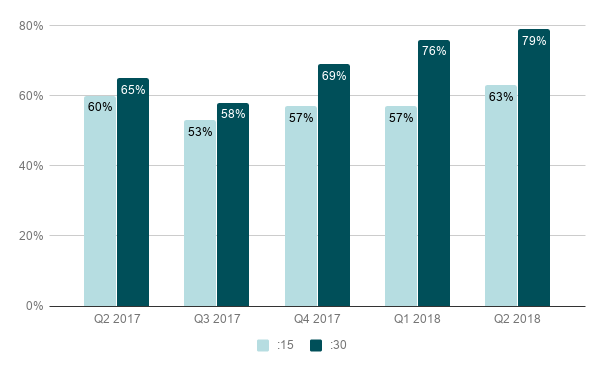 Viewability rates for 30-second ads continued to top those of 15-second spots in Q2 with rates of 79% vs 63%. 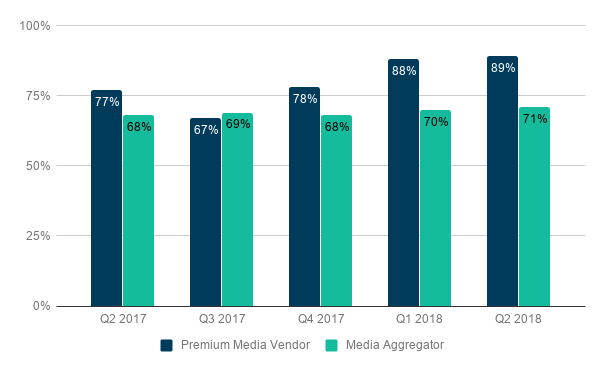 The Viewable Completion Rate for premium publishers rose slightly in Q2 to 89% vs 88% in Q1. 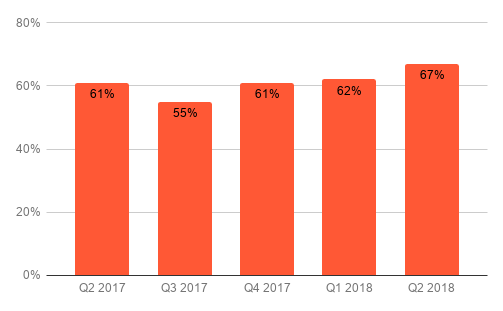 Media aggregators also saw an increase quarter to quarter, from 59% to 61%.